Kamars Fly Beyond Imagining V ValbyDane – ValbyDane Great Danes. Sage comes to us from Kamar Ibizans in Georgia. 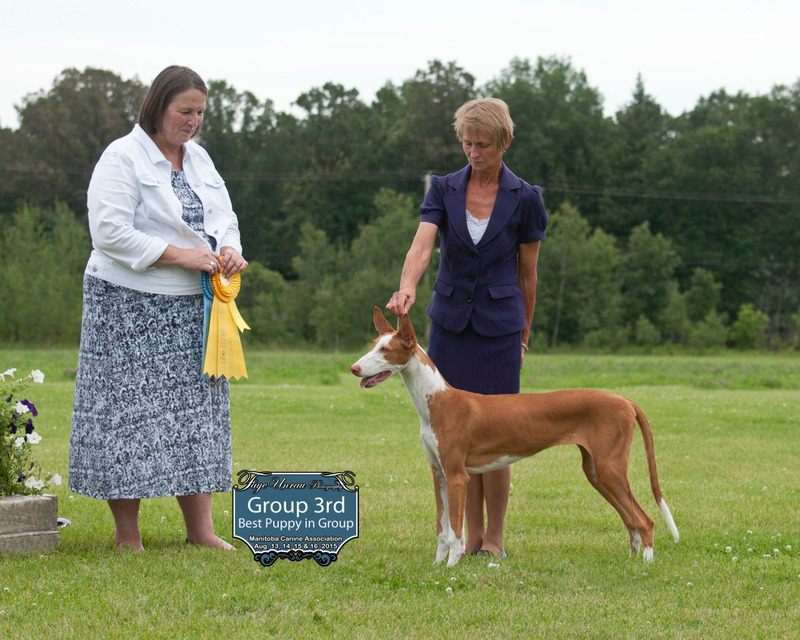 At her first show, she took 3 Puppy Groups and her first points in the form of a Group 3rd. 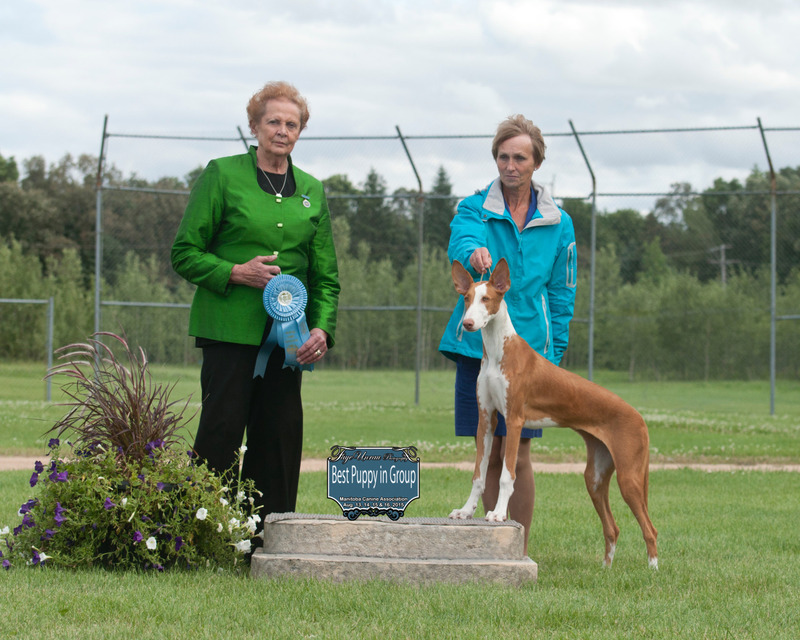 At the Ibizan Hound Club of Canada National Specialty, Sage took Best of Winners and Best Puppy in Specialty. She has multiple Best of Breed wins over Specials and is well on her way to her Canadian Championship. Sage is bred by Katie Belz and owned by Peggy Mignon.